Printed on your vehicles's radio in the the bottom right corner is the model number. 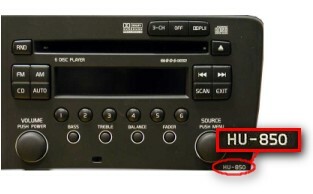 In the picture below, we have an radio with the model number "HU-850". You have a Navigation System if you have a screen with maps in the front of your vehicle. 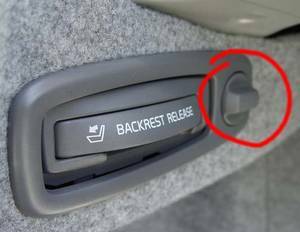 Open the panel on the driver's side in the rear of the vehicle by the fuse box. 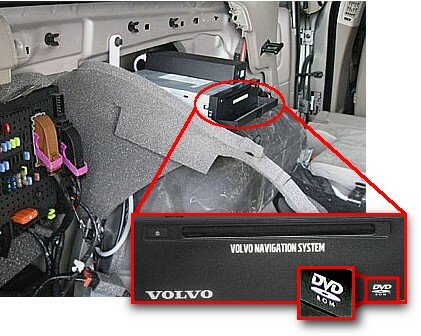 If it states 'DVD-ROM' on the bottom right side you have a DVD based navigation. Otherwise, you have a CD based navigation. 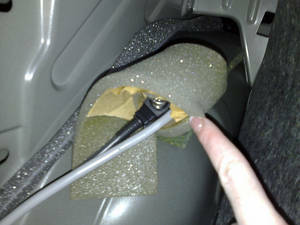 A 'Melbus Prepped' vehicle is simply one that has a Melbus cable already installed. Turn lock located at top of left rear panel beside the seat releae handle. Some vehicles do not have the seat release handle. If there's a rolled up, foam taped cable with an 8 PIN connector then your vehicle is Melbus Prepped! Your vehicle model/year should be in your user's manual. Why is my Car Model/Year not listed? All XC90, V50, S40 or S80 (2nd gen) models or models newer than 2008 are MOST based (fiber optic) and do not support Melbus devices. We do have plans in the works for creating a solution for these models, however we cannot reliably say when this will actaully happen. Watch our site for news updates.